What do you know about refrigerant? You're probably aware that there is refrigerant in your air conditioner, but you may not know much more about it than that. Understanding what refrigerant does, why it's important to handle it properly and changes in rules regarding the use of different types of refrigerant can help you save money by avoiding problems. 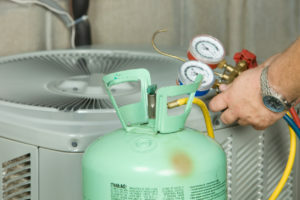 Here are some things to know about refrigerant. Experiencing an A/C freeze is a sign that your cooling system needs immediate attention. The causes are usually easy to fix and won’t take long, and the sooner you take action, the sooner the A/C can resume cooling. Despite the routine thunderstorms, Fort Wayne's summer weather can leave you pretty uncomfortable if you don't have a well maintained cooling system. To make sure you can care for your system and communicate with your technician, take a minute to brush up on your HVAC terms. If you're new to the task of buying a home, you'll want to acquire at least a superficial knowledge of residential heating and cooling systems. We'll start with heating, then move to air conditioning to help prepare you for choosing a new HVAC system. Summers in Fort Wayne can be brutal, and having a functioning central air conditioner makes your home a nice retreat from the heat and humidity. Knowing when you have a problem with your cooling system will keep your home cool this summer. This means listening to the different A/C noises that come out of your equipment, and understanding what they mean. Although about 86 percent of American homes have air conditioning, few people know how their system works. 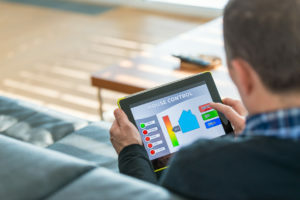 Knowing a little about how your air conditioner keeps your Fort Wayne area home cool during the long, hot summer can help you troubleshoot common air conditioning problems, as well as effectively communicate with your service technician when repairs are needed. Air Conditioning Terms: Are You Cool With The Language? When replacing or repairingyour air conditioner, it can be wise to familiarize yourself with the air conditioning terms and concepts used within the industry. To assist you in learning this somewhat foreign language, we've put together a list of air conditioning terms and definitions you should know. 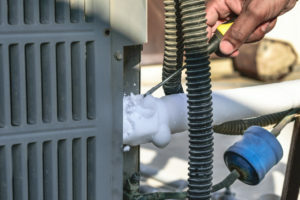 Keeping your air conditioner safe from theft and tampering is an ongoing concern, especially for homeowners with large outdoor cooling units. Copper and valuable metal has often been stolen from cooling systems, but current trends suggest a new target for thieves: the refrigerant in the system. Purchasing an air conditioner doesn't happen very often, which is one reason it's such a big decision for homeowners. If you have never installed a new cooling system, it helps to start by learning a few A/C basics. Knowing how an air conditioner works can help you select the system that makes the most sense for your home.